We're next door to Enterprise Rent-a-Car. Sell Your Car in Lancaster - Fast, Safe, Fair! 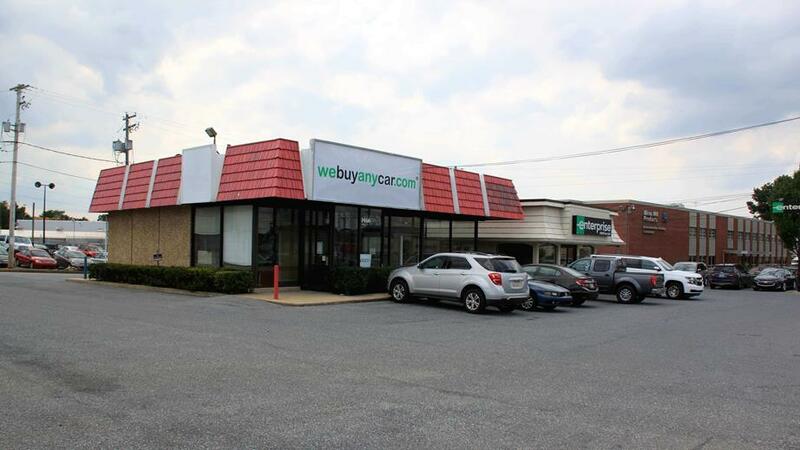 We Buy Any Car Lancaster is the convenient way to sell your car in Lancaster, PA. We take the guesswork out of the car selling process and make selling your car, truck or SUV fast, safe and fair. Worried how much your car is worth? Value your car free online in 60 seconds to find out now. With more than 100,000 customers, we are the #1 cash for cars Lancaster PA buyer you can trust for fair and honest service when you're thinking "it's time to sell my car". Call into our Lancaster car buying center for a free appraisal or go online for a valuation. If you're happy to sell your car, we can cut you a check on the spot. Our friendly and well-trained car buyers will check over your vehicle and make you a firm no-obligation offer to buy your car at our Lancaster PA location today. We've listed answers to the most common questions on the frequently asked questions section of the website but if you'd like to talk to someone, you can reach Steve Belba who manages our Lancaster car buying center at (717) 208-4477 during branch opening hours, listed above. You'll usually be met by Steve Belba, who manages our Lancaster branch. Steve will check your documentation to ensure you have the correct paperwork and necessary items and will then conduct a short inspection of your car. This usually takes around ten minutes and you can accompany Steve while your car is reviewed. If you cannot arrange a ride home in advance from a friend or family member after we buy your car, our branch manager will have a list of public transportation available in the Lancaster area. As soon as your vehicle has been inspected and the price agreed, we'll issue you a corporate check on the spot that you can cash or deposit right away.